Selena Gomez Wears ‘Reputation Tour’ T-Shirt After Performing With Taylor Swift | Reputation Tour, Selena Gomez | Just Jared Jr.
Selena Gomez wears an olive green reputation Tour shirt while leaving the concert on Saturday night (May 19) in Pasadena, Calif. Earlier in the night, the 25-year-old joined pal Taylor Swift on stage to perform “Hands To Myself” for the packed crowd. Later in the night, Taylor and Selena revealed on her Instagram Story that “Hands To Myself” is Taylor‘s favorite song of Selena‘s. 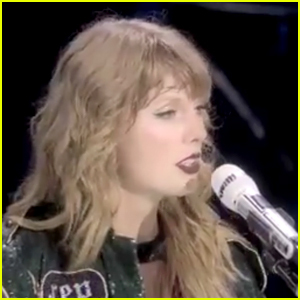 Taylor Swift Sings 'All Too Well' in New Reputation Tour Clip! 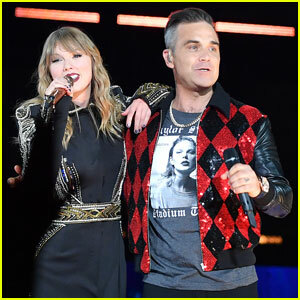 Taylor Swift Performs with 'Tim McGraw' with the Actual Singer! 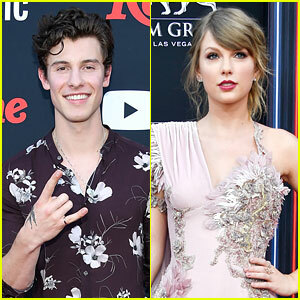 Shawn Mendes Gets 'Reputation Tour' Makeover! 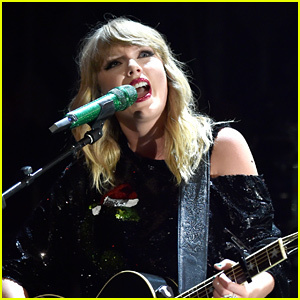 Taylor Swift Flashes More Leopard-Print Ahead of Second 'Reputation Tour' Show in New Jersey! Taylor Swift Debuts a New Tour Costume in N.J.